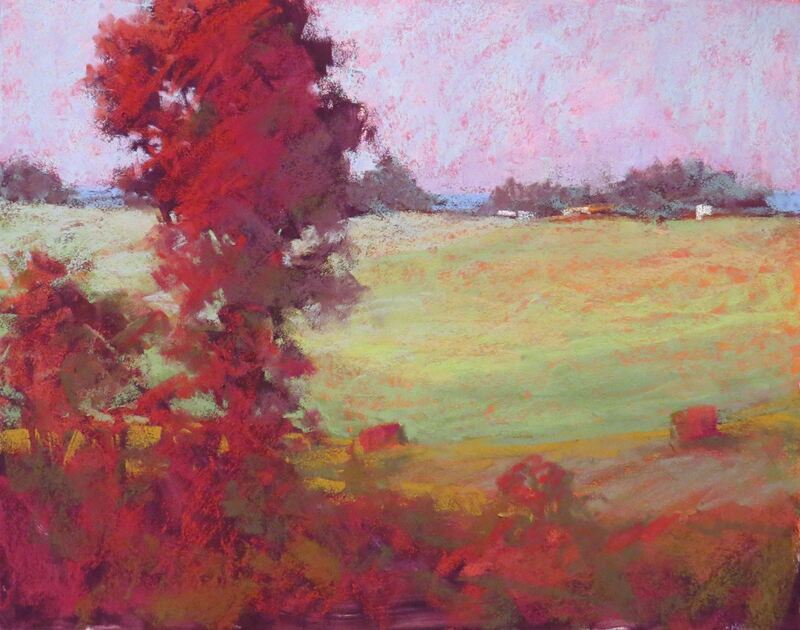 Piedmont Pastel Society - Mini-Workshop - Marsha Savage - "It's the Journey. Learn to Navigate Your Paintings!" Mini-Workshop - Marsha Savage - "It's the Journey. Learn to Navigate Your Paintings!" methods, but also the idea of taking the pressure out of the equation and learning to love the process… “the journey!” It is appropriate for beginning, advanced or professional artists. All students will receive individual attention geared to their level. Bring photographs (no copyrighted material, please), or students may paint from mine. A “first focus” will be learning to quickly choose a scene. Though I started my “journey” with oil painting, pastel is my main instruction medium. I now divide my time between oil, pastel and acrylic work. Students will receive the benefit of my experience in all three mediums. And, most theories are the same no matter the medium you use. My forte is color theory, but an equal emphasis is on composition and value, with temperature and color a strong second! Discussions of linear and aerial perspective, spatial arrangements, proportions and form, contrast, edges, shadow, reflections, and reflected light are instrumental in creating a believable scene or image. There will be added emphasis on creating a plan or road map to work from, blocking in the darks and lights, and finding the colors and developing the painting. This class is not just to paint a pretty painting from start to finish; but principles of starting and working through the painting are foremost. Students are encouraged to begin many paintings and finish none! The more you start, the better and quicker you progress.